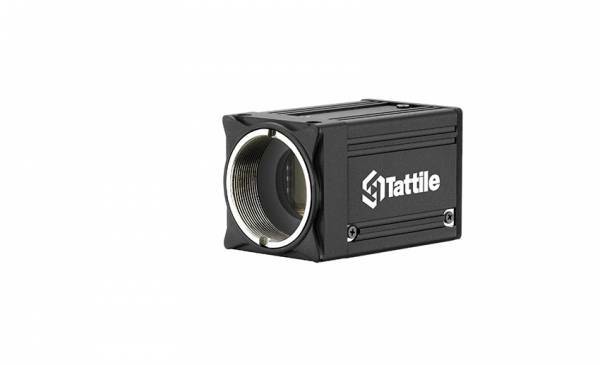 TAG-5 is a technologically advanced compact digital camera, designed to meet the main requirements of machine vision based on new CMOS global shutter sensors. Available in different resolutions from VGA up to 4 MegaPixels, in both monochrome and color versions, TAG-5 is fully compatible with GigE Vision and GenICam standards for a rapid software integration in any machine vision system. It can run up to 300 fps over making it perfectly suitable for applications where speed is a foundamental aspect. The extremely compact design, Power over Ethernet supply (PoE) and the hardware interface (RS232 serial port, digital input, digital output and 4 strobe outputs) allow a quick and easy installation at any inspection point. Related links to "AC-CMV300M-GV TAG-5"